Every maker has a story. Be a part of Tarja Cockell's story by placing an order, leaving a review, and seeing your review appear here. 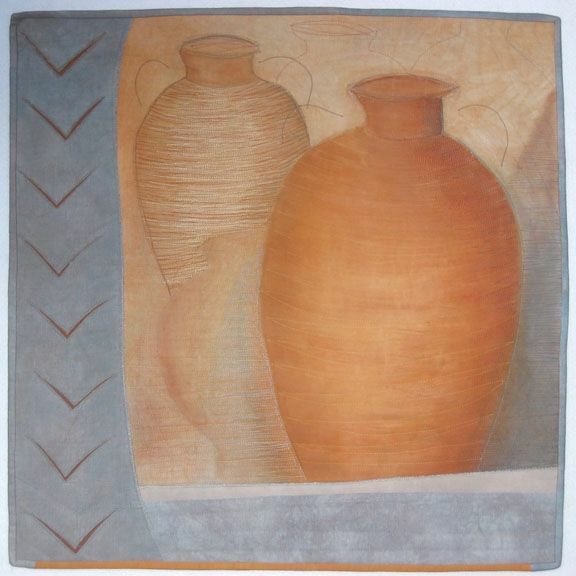 In this quilt I was exploring the shapes and beauty of old Mediterranean jars, which were used to store food. I used a lot of stitching to create texture and shapes. The work has hand-dyed and painted fabric with the applique technique and cotton batting and backing. Dimensions: About 30" x 30"